AC Tractor – is it a good product idea? : Last week while reading the Economic Times (ET) a news attracted my attention. 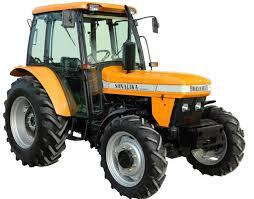 News was about the launch of Heavy Duty AC Tractors by Sonalika. By spending some time on Google search, I found that market leader Mahindra too manufactures Air-conditioned tractor and exports them in the markets like United States and Tunisia etc; but they have yet not offered them in India. Yes, that’s right that YouTube is very popular in India but the truth is that brands (or rather marketers) has yet not started using it for their advantages. I have asked plenty numbers of FMCG Marketers in last 1 and half years on their opinion about usage of You Tube. Most of the marketers never came up with thought of owning brand centric or around it, video content. Sadly and surprisingly most of the marketers I met, sees the YouTube as TV, where in they are able to control brand content and also continue with their disruptive TV like advertising by inserting on the the whatever content their target user watching. How I became an Entrepreneur..
How I became an Entrepreneur…. : A story of 13 year child. My mother always liked to make her morning tea with fresh milk. And as a child I had taken most of her this habit. I still remember when as a school going 13 year old kid living in Jabalpur city, 365 days of the year my day would start at 6:30 am (except for the days I fell sick or pretend to be sick). A Milk Dairy which was 3 km away was used to close at 7 am, therefore everyday I was made to get up at 6:30 am to go and get fresh buffalo milk for Mom’s morning tea. So I will take my 24 inch bicycle on which my legs will desperately try to reach out for pedals and be on the task each morning. Article published on exchange4media.com on 25th Sept 2012. FB Offers can be a game changer: I have been working hard last two years to put the pieces together in the space of deal/ product promotion. I always wanted to empower the retailers to have a direct relationship with consumers without any mediators such as GroupOn, Snap Deals or deal agents. Considering the same, I aligned myself with a mobile start-up and helped them design a mobile application which was all-in-one; i.e. retailers could upload deals and photo of products, target consumer based on geographic location, offer mobile bar code coupon and have control on deal quantity and period. 17 hours media innovation: Few days ago, while attending a magazine conference on consumer engagement, I texted one of my close publisher friend, who was then sitting on the dais saying, “People buy magazines for content and not advertisement. Brands need to learn to engage consumers around content”. This BBM text triggered me to write the first of a series of articles. The marketplace has become crowed and hyper competition is posing new challenges to marketers. Breaking clutter to get noticed or to draw attention of consumers is getting tougher for brands. Of course, to engage consumers is secondary until you achieve the former. Brand custodians at times spend lavishly on media to achieve higher frequency, thinking that it will help them draw the consumer’s attention but then many start encountering burn-out effect, leaving them with undesired RoMI (Return of Marketing Investment).